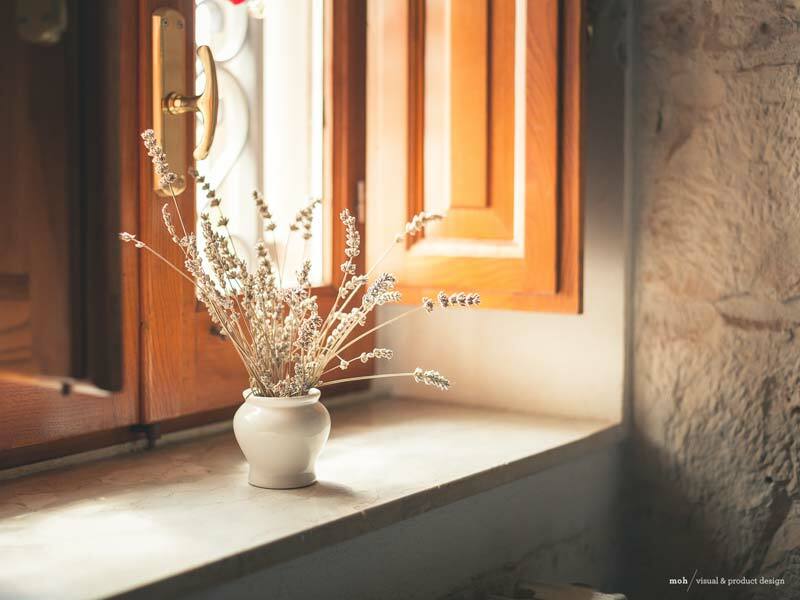 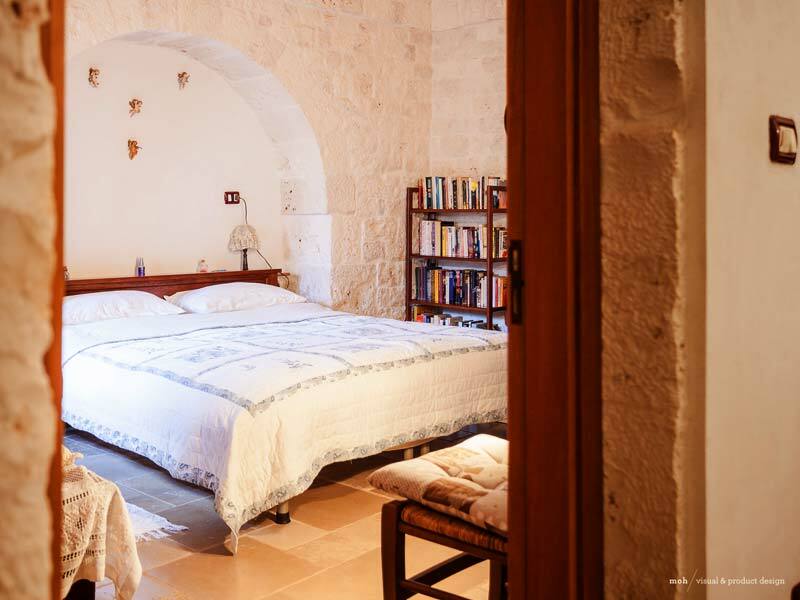 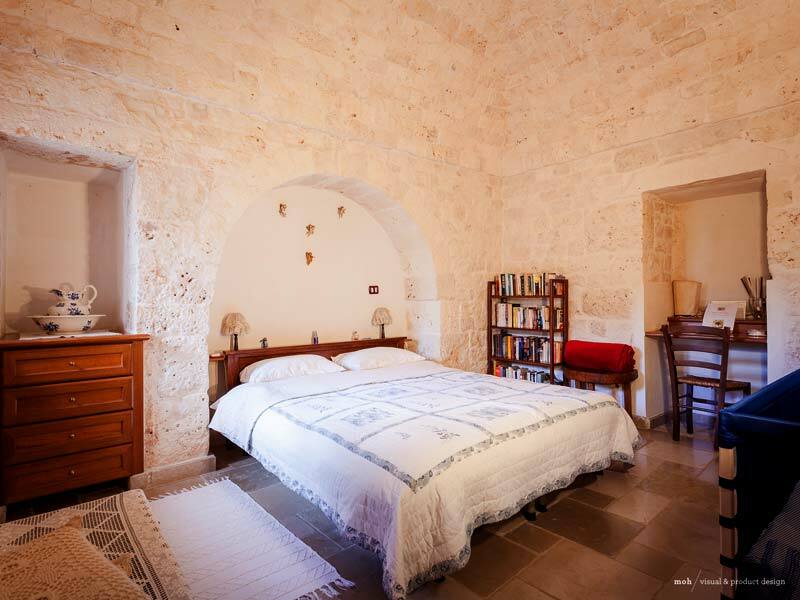 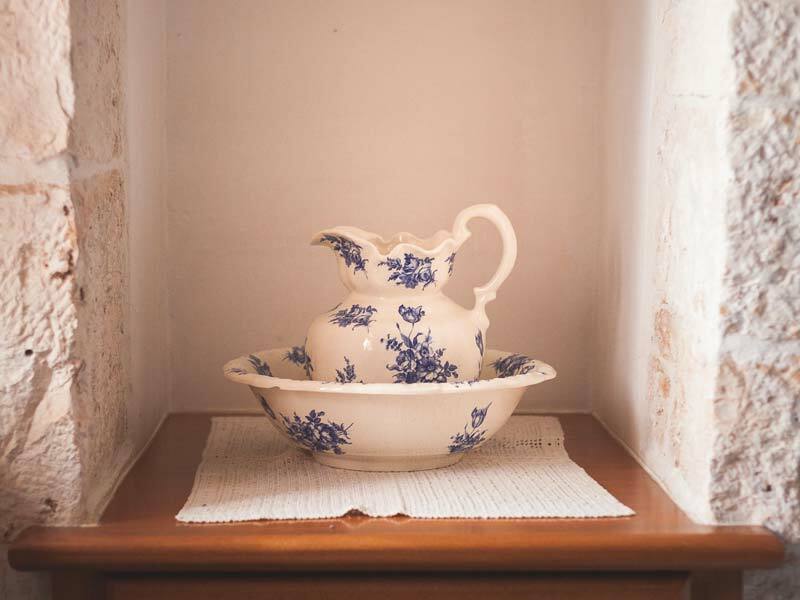 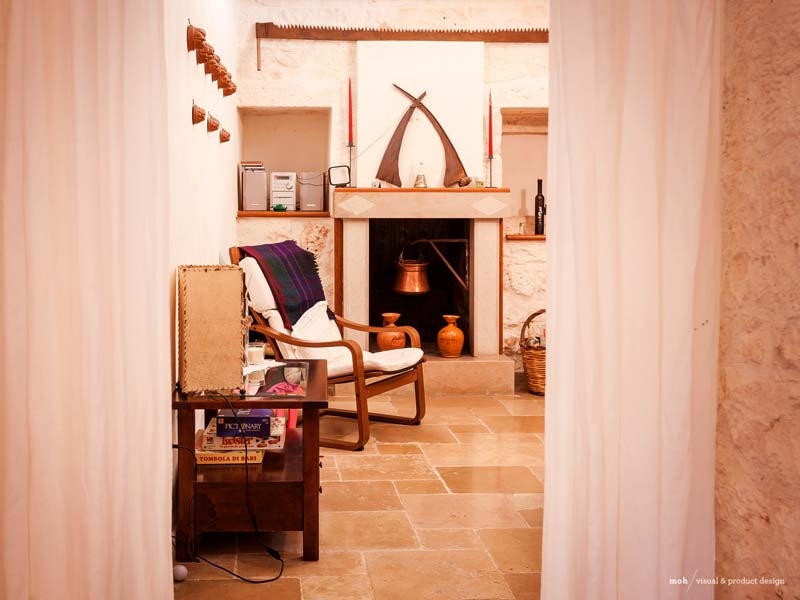 “The trullo – with independent entrance and garden equipped for outdoor breakfast under the fresh wooden pergola or relaxing in the sun on the sun loungers provided – comprises 3 fresh rooms in exposed stone, expertly restored with love for details, elegance and maximum attention to comfort. 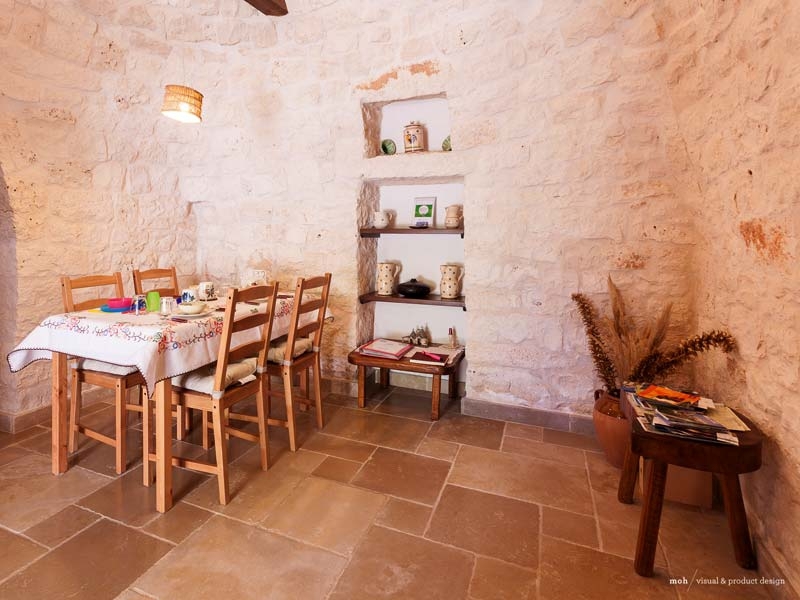 A dining room is located under the large cone with a well equipped kitchenette; living room under the large barrel roof or “lamia” with fireplace, free minibar, small table and small armchairs; under the striking star roof the spacious and adjoining double bedroom; a modern bathroom with a walk-in shower, free welcome toiletries, and fine linens. 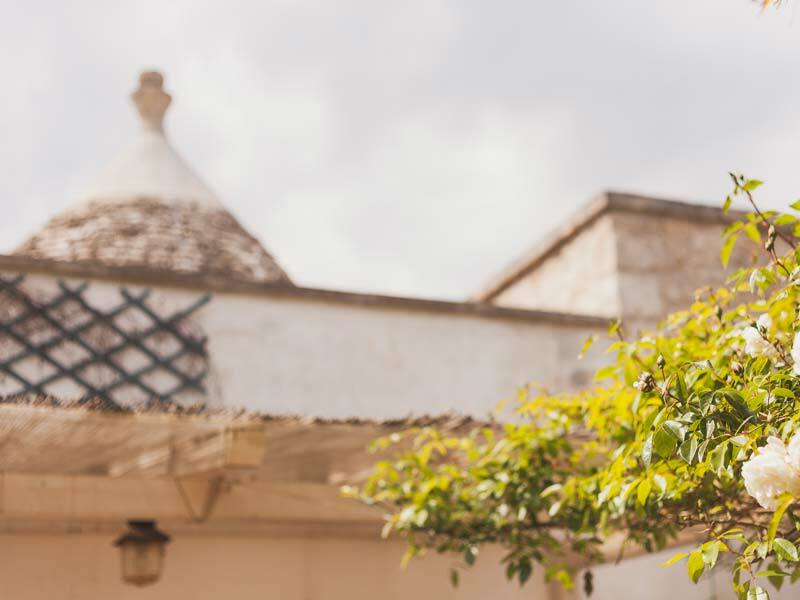 As per Italian legislation, the whole house is “NON SMOKING” but there is plenty of space in the outside gardens to smoke the desired cigarette without problems. 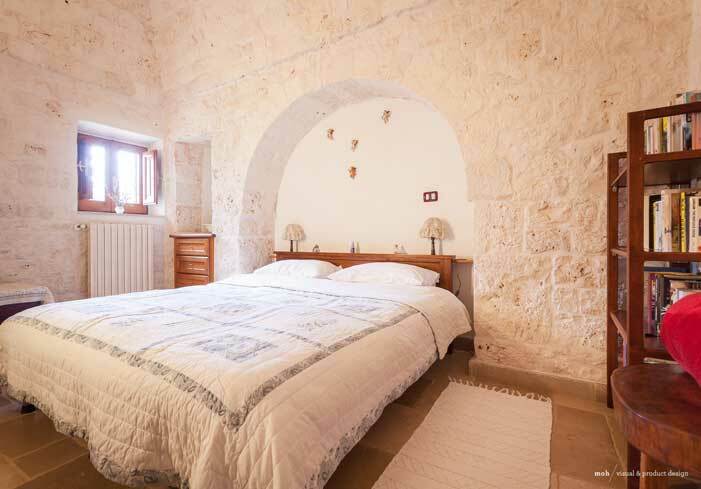 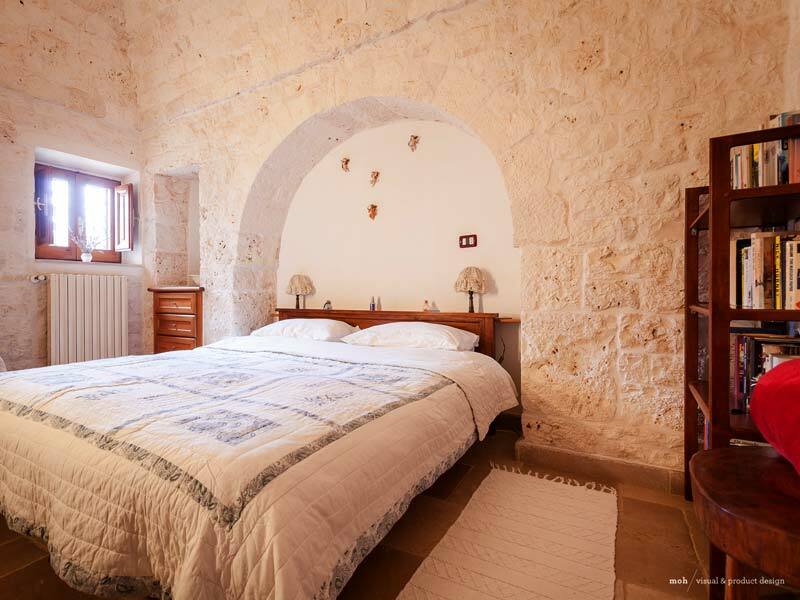 The trullo can accommodate up to 3 adults and 1 child under 3 years of age.